Up to ONE MONTH FREE & $1000 Look & Lease! With football season in full swing, we’ve been seeing a lot of pizza delivery drivers in the parking lot at our Energy Corridor apartments. There are few things that go together better than Sunday afternoons and pizza, which is why we’ve decided to write an entire blog post about everyone’s favorite game day food. In the post below, we’ll be sharing tips on where to find the best pizza in West Houston. 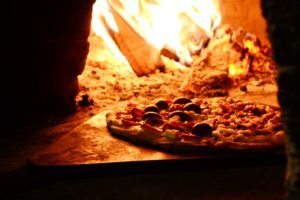 Whether you want your pizza delivered right to your door or you prefer to save a little money by picking it up yourself, the pizza spots on this list will have hot, fresh pizza waiting for you when your stomach starts rumbling. 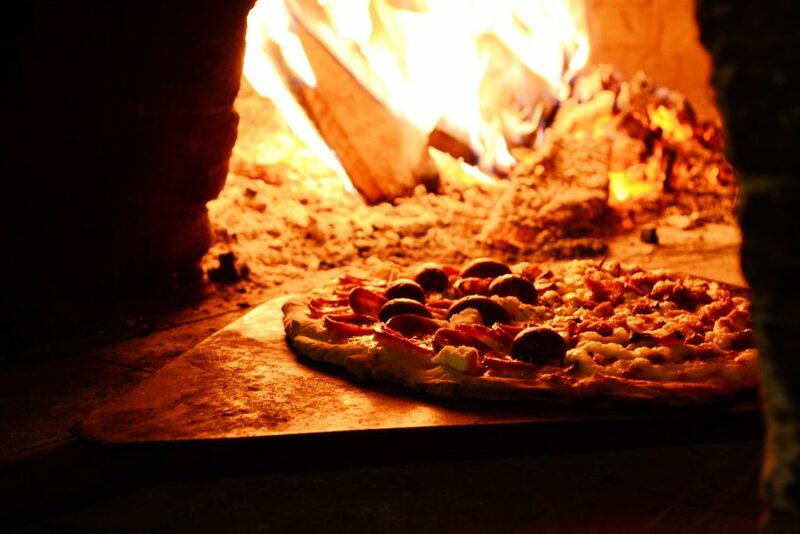 While Houston is known for its multitudes of cultural cuisine, there’s nothing wrong with indulging in some good ol’ fashioned pizza every once in awhile. Plus, all pizza is not created equal. West Houston has brick oven pizzerias, hole-in-the-wall pizzerias that serve greasy slices, and everything in between. No matter what kind of pizza you prefer to have on your coffee table on game day, you’ll be able to find it on the list below. Let’s get right to it, shall we? When you’re done reading through this post, please be sure to share the link to this page with your friends and neighbors at Alexan CityCentre — the Energy Corridor apartments Houston residents choose for contemporary comfort. The first spot on our list is known for having the freshest dough of any pizza joint in West Houston. If you visit their website, you’ll see that they’ve won multiple awards for the dough alone. This place cooks the meat perfectly, and the incredible variety of toppings means you’ll always be able to find a pie that satisfies everyone in your game day group. While we’re big fans of the food at Crespo, we’re even bigger fans of the customer service. If they mess up your order at all, they’ll make it right! The pizzas at Pizaro’s are a little different, but sometimes you need healthy toppings instead of greasy pepperoni and cheese. We’ve heard good things about the mushroom and potato pizza, but you can’t go wrong with the arugula and prosciutto pizza either. This is the kind of pizza that’s best enjoyed with wine, as it’s a far cry from the chain pizza that you’re probably used to ordering on Sunday afternoons. For fast pizza that tastes homemade, try DoubleDave’s. Not only do they deliver the pizza quickly, but they deliver it fresh and well-cooked. DoubleDave’s is affordable, and their pizza comes piled high with toppings — especially the meat lover’s specialty pizza. If you feel like you’re hungry for more than just a pizza, be sure to order the famous DoubleDave’s pizza roll’s as well! That concludes our list of the most popular pizza restaurants near Alexan City Centre! At this time, we’d like to thank those of you who’ve been coming back week after week to read our latest brand new blogs. If we’ve done our jobs this week, you should have a whole new list of pizza places to try next time there’s a big game on the TV! We’ll be back in a few short weeks with another brand new blog post. If you liked this week’s blog and you’d like to read more like it in the future, please be sure to bookmark our blog page so you can easily check it again when our next blog goes live on the website. While you wait for that blog to go live, we encourage you to follow Alexan CityCentre on social media. That way, you’ll always be among the first to hear about upcoming resident events, giveaways and promotions happening at your community of apartments in West Houston.